Find your journey! 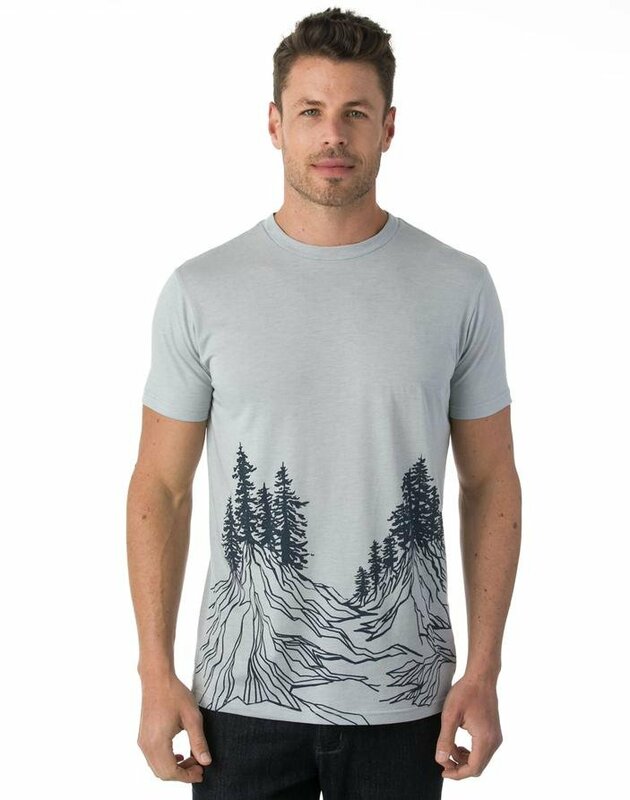 Our classic, comfortable tee is enriched with a forest and mountain graphic, stylishly placed along the hemline. Made with a purposeful blend of organic cotton, recycled polyester, and TENCEL® - a highly sustainable fabric made from eucalyptus.